The Godfather movies are considered by many to be the greatest Italian trilogy of all time. However, over the past few years, there is only another Italian trilogy that stands above the rest in New York City’s dining scene; Il Gattopardo, The Leopard at des Artistes, and Mozzarella & Vino. These three restaurants set the standard for fine Italian dining, with the only debate being whose is everyone’s favorite of the three. Fall is the perfect season for you to take a stroll down to these splendid establishments and make up your own mind. The Il Gattopardo family of restaurants is owned by husband-and-wife team Gianfranco and Paula Bolla Sorrentino, with Partner Chef Vito Gnazzo. Originally from Naples, Italy, Gianfranco Sorrentino carries over 40 years of experience in restaurant management from the Quisitana Hotel in Capri, Dorchester Hotel in London, Four Seasons Hotel in Tokyo, Bice restaurant in New York, Sette MoMA restaurant at the Museum of Modern Art of New York, and Union Bar & Grill in Great Barrington, MA. In September 2001 he opened Il Gattopardo, just across from MoMA, along with his wife Paula Bolla-Sorrentino, and his talented Executive Chef Vito Gnazzo. 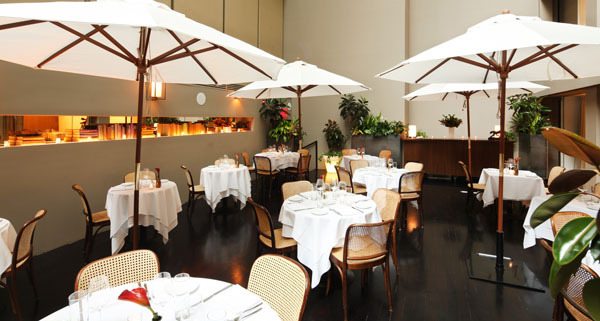 In 2011, the Sorrentinos also embraced one of the most rewarding journeys of their careers, the rebirth of the restaurant in the landmarked Hotel des Artistes – The Leopard at des Artistes. Fine dining icon Il Gattopardo opened in 2001, and still attracts a loyal clientele who come for both the authentic southern Italian cuisine and the warm, Italian hospitality. 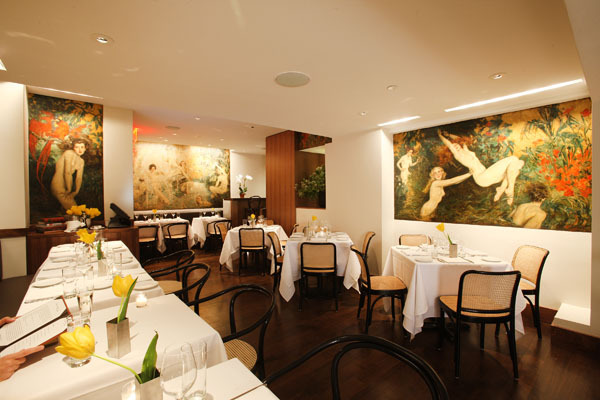 Il Gattopardo is located in the historically landmarked Rockefeller Townhouses at 13-15 West 54th Street. Aside from the sleek, modern main dining room, the restaurant also boasts a beautiful, lushly-planted 8-story Atrium, in which a wide range of private events are held. Il Gattopardo serves traditional Southern Italian comfort food that has been adapted for the contemporary palate without compromising the authenticity of the cuisine, which became a must to its loyal upscale New Yorker clientele. 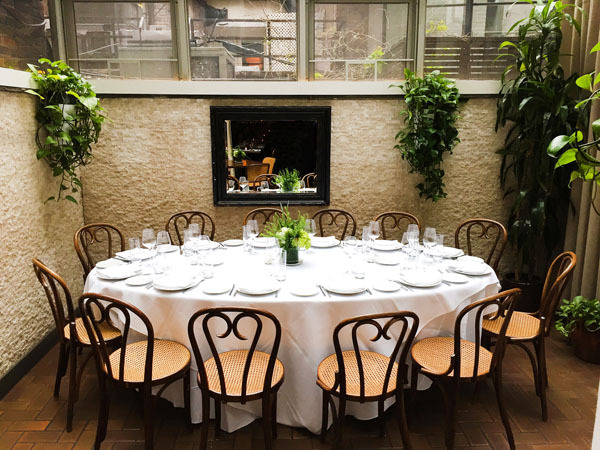 Five years ago, in the historically landmarked Hotel des Artistes at 1 West 67th Street, on a beautiful, tree-lined block between Central Park and Lincoln Center, Gianfranco Sorrentino and his wife Paula Bolla Sorrentino, along with Partner Chef Vito Gnazzo, opened The Leopard at des Artistes. The opening included a floor-to-ceiling renovation of the existing space, and a complete restoration of the original, famed Howard Chandler Christy murals that adorn its walls. The Leopard at des Artistes boasts a diverse menu that finds its roots in the area once known as The Kingdom of Two Sicilies of the mid-1800s, and the culinary traditions of Campania, Basilicata, Calabria, Apulia, Sardinia, and of course, Sicily. The menu also features dishes traditionally found in regions outside of southern Italy, such as Lazio and Umbria. At the Leopard at des Artistes, Chef Vito’s culinary signature of authentic southern Italian comfort food is what visitors and locals alike flock to the restaurant for. Mozzarella & Vino, located at the former Il Gattopardo space, at 33 west 54th Street – as you may know, Il Gattopardo moved to the new location, on the same block at number 13 West. Their talented Chef Vito Gnazzo is responsible for the mouthwatering menu that reflects the simplicity of authentic Italian ingredients, with a heavy emphasis on the Mozzarella di bufala Campania, Italian cheeses and affettati. Based mostly on classic Italian antipasti, such as arancini, panzarotti, and mozzarella rolls, they also serve a wonderful selection of panini , soups, salads, and of course mozzarella on all shapes and combinations … even on desserts. Their enoteca style bar focuses on showcasing rather smaller family estates and independent Italian winemakers. They proudly share beloved wines, definitely not mainstream, wines that translates history, quality and good value. A variety of by the glass is offered, as well as by the bottle. Their selection greatly varies due to constant new discoveries. Mozzarella & Vino is located on 33 West 54th Street.